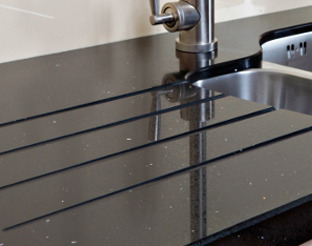 At Woodbank Kitchens we offer a wide range of kitchen worktops from top quality Formica laminated worktops, Granite, Silestone Quartz, Cimstone Quartz, Sinquastone Quartz, Corian and Solid Timber. Visiting our showroom is the best way of becoming familiar with the possibilities available for your kitchen. 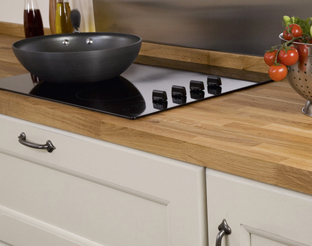 Laminated worktops are durable & practical. Melamine resin is the hardest of all synthetically produced organic materials. This is the reason for the high scratch and wear resistance of HPL. The high impact resistance of the material is due to the elasticity of phenolic resin. Granite is a natural stone that is cut directly from the surface of the earth in thick slabs and then used in the construction of countertops and other surfaces. 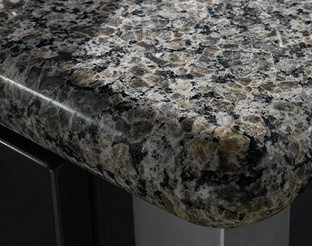 If you choose granite for your countertops, you will likely see random veining and uneven colour patterns. Some people like that it is so natural, while others do not. 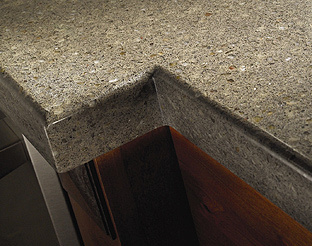 Quartz is an engineered stone. Quartz technically is a mineral that is abundant in the earth’s crust, second only to feldspar. If you go with quartz, you will probably have a more even colour pattern on your countertops than you would with granite. 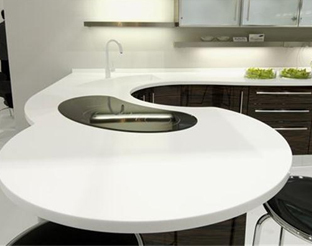 Corian is an advanced blend of natural minerals, pigments & pure acrylic Polymer. Corian is versatile, stylish of virtually anything.